One of the purposes of this blog is to help increase reader’s knowledge and understanding of what we do in the Wood Treatment Industry and how that impacts you and your customer(s) so you can make the best and most informed decisions as it pertains to fire retardant and preservative treated wood products. Lately I’ve been seeing a lot of quotes where customers tell me they’re looking for treated wood that must be “PT & FRTW”. The use of acronyms and deciphering people’s handwritten notes based of their limited understanding of my job is and always will be challenging, but that’s what we have Q&A for, right? My intent in sharing this with you is to help clarify what the acronyms PT and FRTW represent (where applicable), and to bring some common understanding to these two terms. What does PT & FRTW mean? For starters, PT could mean a lot of things. Pressure-treatment, preservative treatment, or physical training. Considering my job and probably yours since you’re reading this, we’ll focus on pressure treatment and preservative treatment as possible correct choices. 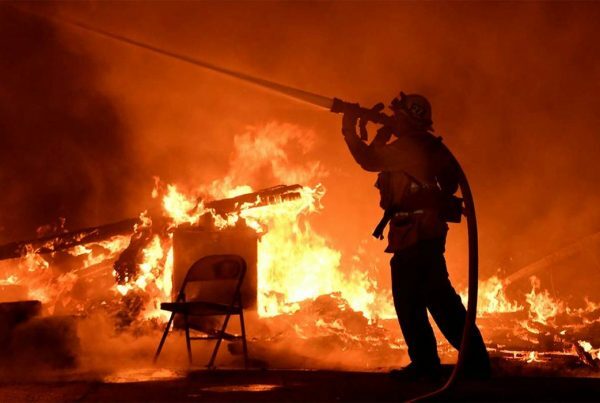 As for FRTW, it’s crystal clear to me what is being asked for – Fire Retardant Treated Wood (FRTW). Let’s define FRTW per section 2303.2 of the International Building Code (IBC) so we’re all on the same page. 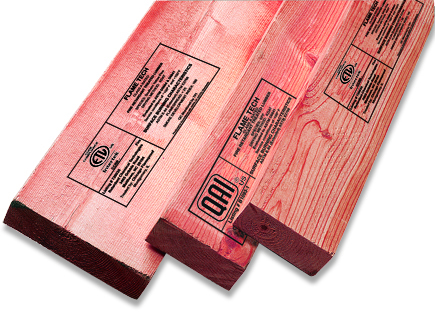 With the customer asking for Fire Retardant Treated Wood, this singles out a specific product that has been treated via pressure process to perform in such a manner as detailed by the code. In the world of wood treatment, there are a variety of (a) processes and/or methods involved in wood treatment that deliver a set of (b) benefits enabling treated materials to be used in specified and/or code required application(s). Briefly, it’s important to note that the AWPA C20 & C27 specification standards of yesteryear have been replaced by the AWPA UCS (Use Category System). Fire Retardants fall under Commodity Specification H. The precise Use Category for Interior Fire Retardant is UCFA and exterior FRTW is UCFB (exterior FRTW). The UCS further defines compliant fire retardant treatment process by “protectants” based off their ingredients providing the designations of: FR-1 (P-49) and FR-2 (P-50) respectively. So with a little knowledge of the product being evaluated for use, or in determining what solution(s) best work for your customer, a little knowledge of the code and applicable standards go a long way! Arriving at a compliant solution. After a few short questions with my beloved customer looking for “PT & FRTW”, it was determined that they simply wanted FRTW lumber & plywood. It is important to note that there are products available that are both preservative & fire retardant treated [the BENEFIT] which by code is done by pressure impregnation [the PROCESS]. We’ll dive into combination fire retardant & preservative systems in another post coming soon. Next PostYou want an ALTERNATIVE?